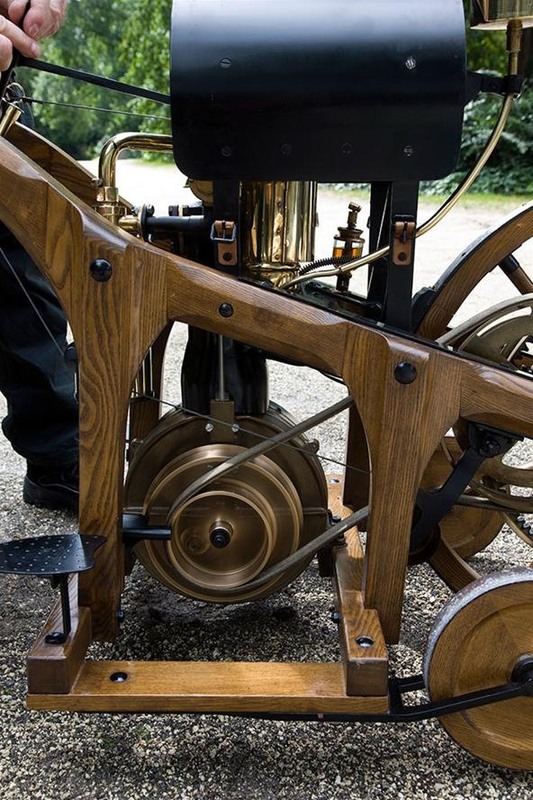 What made the machine possible was the Grandfather Clock engine, so named because it resembled a clock. 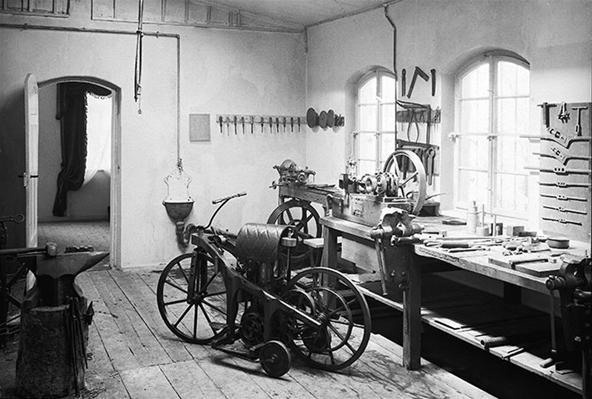 Daimler developed the single-cylinder four-stroke engine with Wilhelm Maybach in 1884. It displaced 265cc, produced 0.4 horsepower at 600 rpm and was remarkable for its relatively light weight." 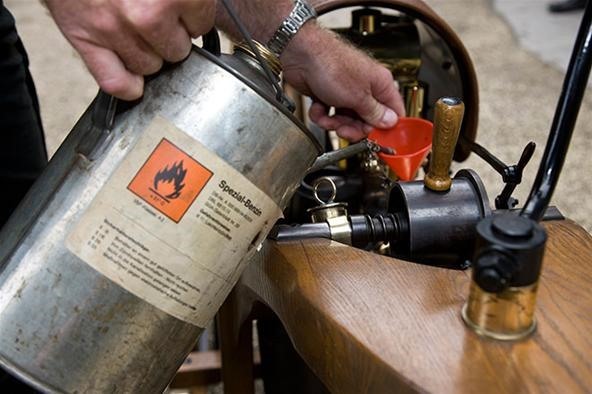 "To start the engine, one must first light the small flame beneath the hot ignition tube and crank the engine once using the crank; these preparations take only a minute. The engine runs smoothly, since the silencer dampens the exhaust gases entering the exhaust pipe. 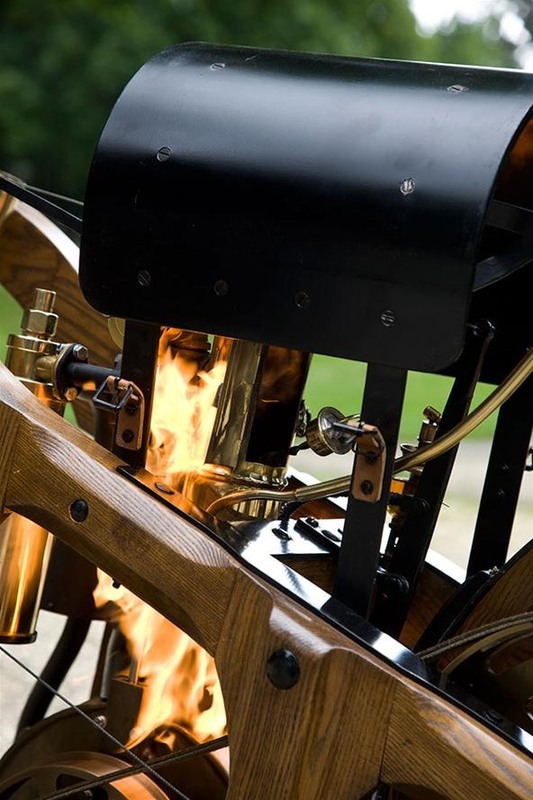 To set the vehicle in motion, the driver climbs aboard, takes hold of the steering bar and connects the engine to the bicycle. 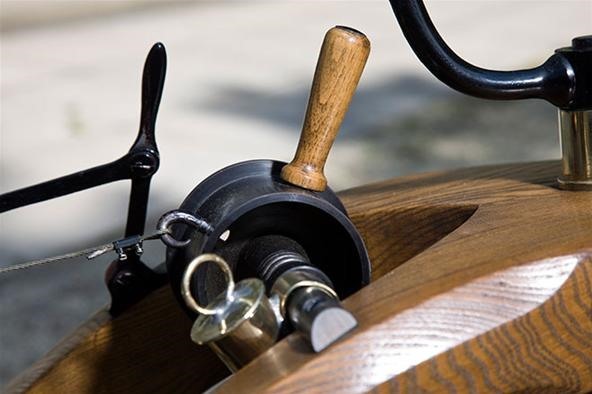 This is done by means of a lever, cord and tension pulley, which shifts the drive belt onto the pulley." 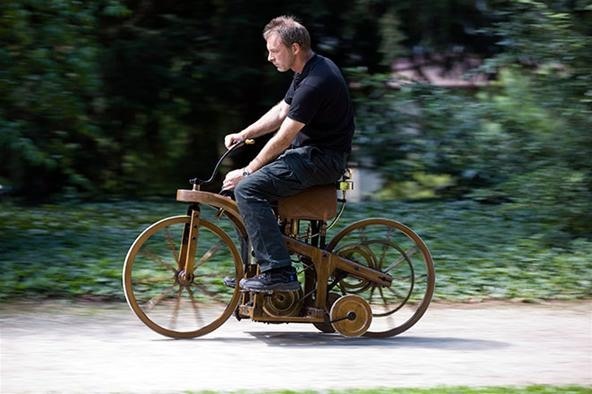 "A replica of the 'riding car' at Spa Gardens in Caanstatt, Germany, where it was first tested." "The riding car had a top speed of 12 km/hr, or a little more than 7 mph." "The 'hot tube' ignition system." 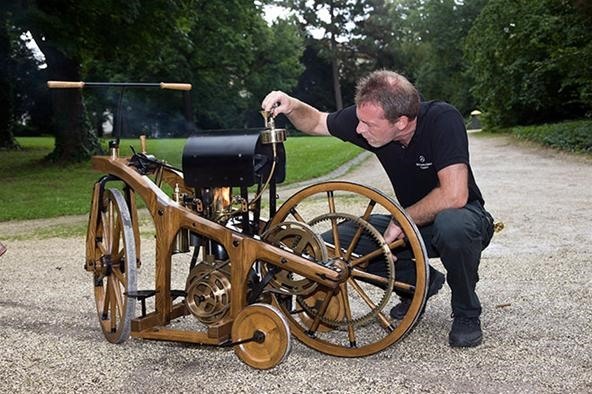 "The 'Grandfather Clock' engine, so named because it resembles a clock. The riding car was built to test the engine, which had a displacement of 265cc and produced 0.4 horsepower." "The riding car's two gears were selected via a lever when the machine was at a standstill." 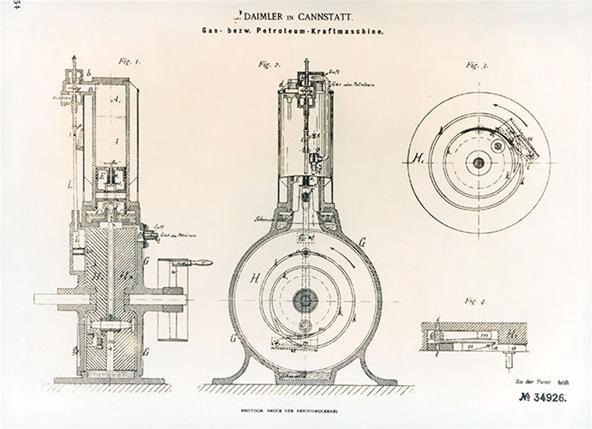 "A drawing of the 'Grandfather Clock' engine Daimler and Maybach developed." Previously, 100 Most Valuable Old-School DIY Blueprints (yup, all analog and all free).